Oh yes. There is a third part of the nursery DIY details. This time it was not me, but my mom and aunt, who surprised me with some handmade gifts for baby G.
Door hanger & Diaper Box: I guess my sister or mom told my aunt that we were doing a giraffe theme. She is an expert crafter and has done beautiful things. As a baby shower gift she gave us this personalized door hanger. She also made a diaper box. Somehow she had it all right, the colors, the theme. It coordinates perfectly with the room. What a cute way to keep all those diapers handy and organized. 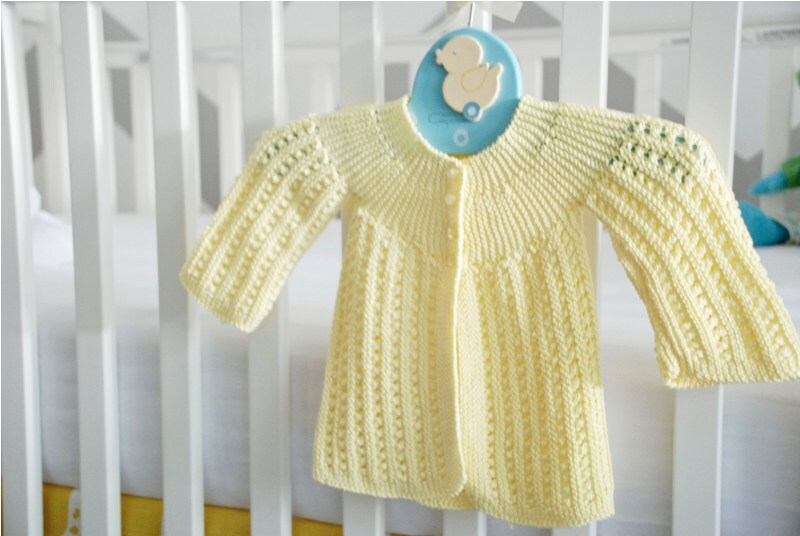 Knitted coats: My mom took some knitting classes in Lima so she can knit some cute things for baby G. And this is one of them. 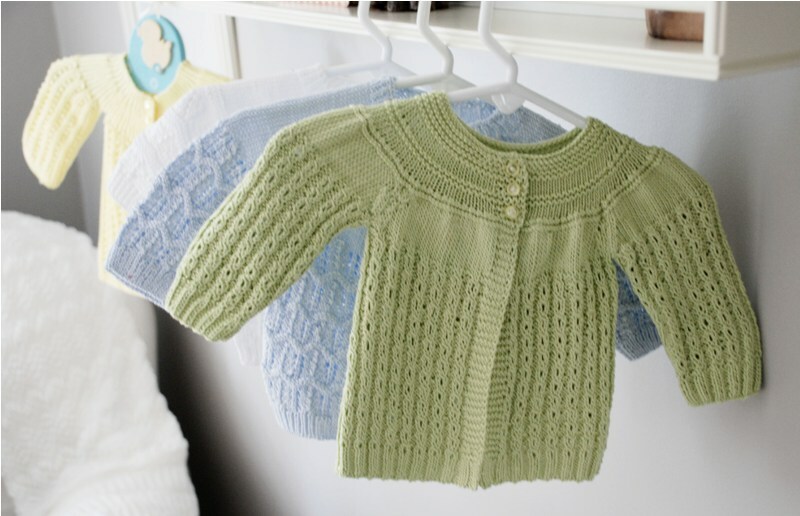 She made four of this cute knitted sweaters in different colors, and some booties, too. They look so delicate. They are so cute that I wanted to display them as decor in his room. She also made this turquoise "Amigurumi" (that's how she called it), which means knitted stuffed doll. Isn't it cute? She was inspired by the Bla Bla knitted head. Next time the nursery big reveal! Those are precious!! I can't wait to see the room completely put together! 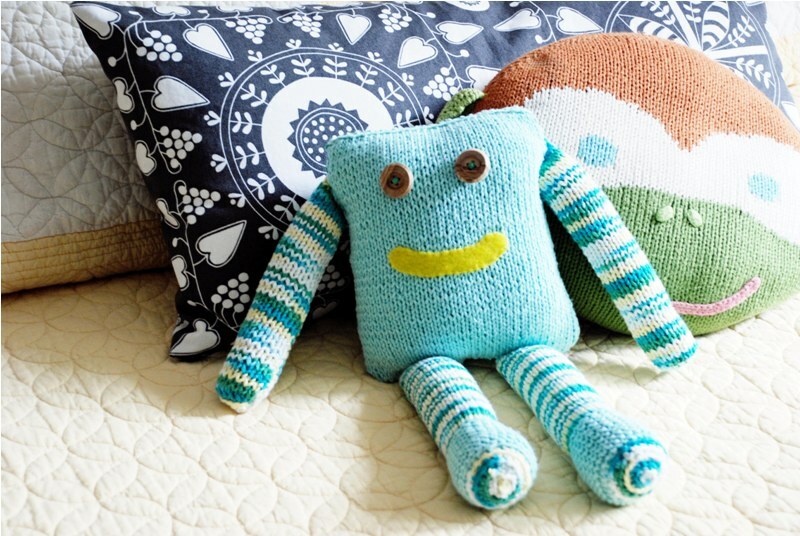 Knitted stuff doll is adorable! Hmmm, it's ALL adorable :) Thanks for sharing pics! Ur mom and aunt did a great job in selecting the cute items! Thanks! It's very meaningful to have these cute details made by people we love. I saw this room in another blog Madebygirl, and I must say I was in love by looking at the pictures! so out of the ordinary! goodness I want that room so bad (maybe when my babies are ready to come to this world no?) :) Thanks for the inspiration! Btw I noticed you're from Peru, so am I! good to have found your great blog. I'm not sure my last message went through, but just love the room!